The perfect present for someone with everything! 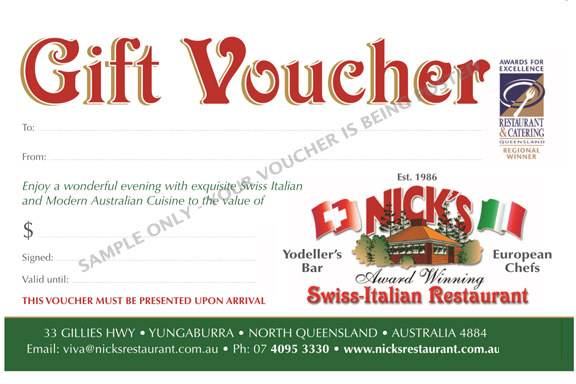 Our Gift Vouchers can be purchased using PayPal, your credit card or even by direct deposit (EFT). Choose your own amount ( Manual ) or choose a preset value. You will receive instant confirmation of your purchase and you can customise your message/greeting to the person you are gifting it to. Please ensure you type in the Recipients FULL details – name, address including postcode. Click into the Amount field, choose a $$v value or select Manual and enter your desired $$ amount. Type the message you would like us to send to your receiver in the Message (Your message…) field below. Once above steps completed, click Add to cart. On the Cart page, choose PayPal, EFT or pay direct with your credit card.